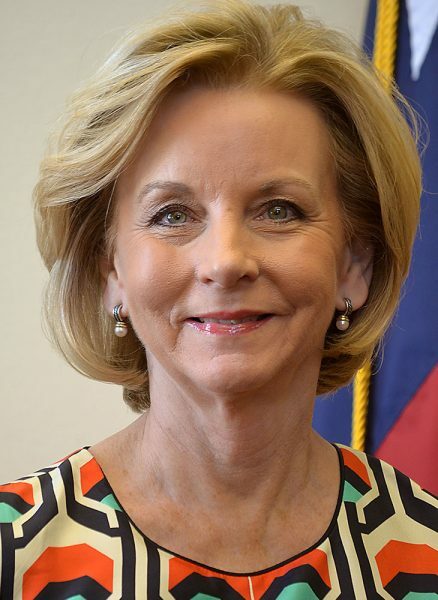 State Representative Geanie W. Morrison (R-TX), District 30, is currently serving her tenth term in the Texas Legislature. The south Texas district includes Aransas, Calhoun, DeWitt, Goliad, Refugio, and Victoria counties. For the 85th Legislative Session, Representative Morrison was appointed to chair the House Committee on Transportation, and served as a member of the Higher Education Committee, and the Select Committee on Ports, Innovation and Infrastructure. During the interim, she was also appointed to the Joint Interim Committee on Higher Education Formula Funding. In the 84th Legislative Session, Representative Morrison served as the chair of the House Committee on Environmental Regulation, and served as a member of the House Committee on Higher Education. During the 83rd Legislative, Representative Morrison served as the chair of the House Committee on Elections, and as a member of the House Committee on Insurance. Representative Morrison has also served on the House Committee on Appropriations, the Appropriations Subcommittee on Education, and as vice-chair of the House Committee on Human Services. Representative Morrison served as the chair of the House Committee on Higher Education for the 78th, 79th and 80th Legislative Sessions. Representative Morrison has received numerous awards and has been recognized by many organizations for her service to her community, and the State of Texas. Representative Morrison will be the guest speaker at the November 2nd Community Leaders’ Meeting at City of Cuero Council Chambers at 7:30 a.m.